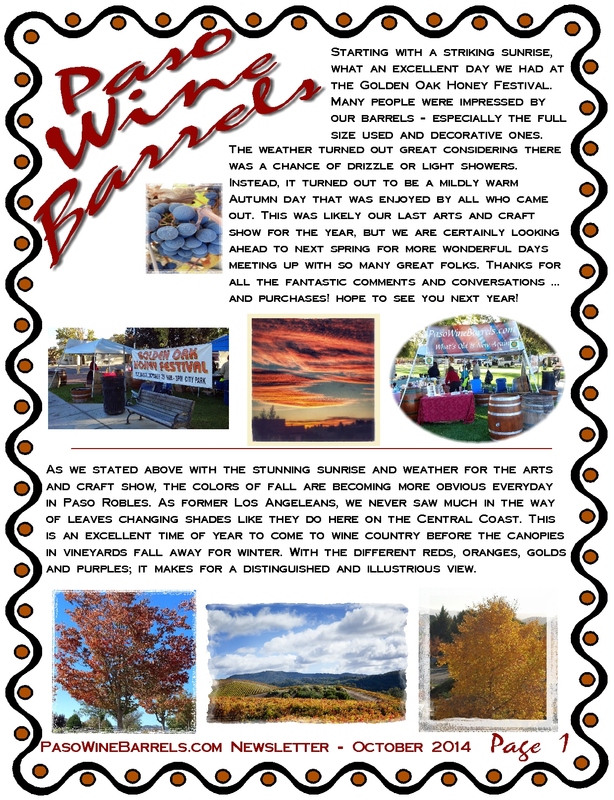 This entry was posted in Newsletter and tagged Newsletter, October 2014, PasoWineBarrels.com on November 26, 2014 by PasoDr. Until I moved to Paso Robles, I knew very little about Zinfandel. That changed when a good friend of mine taught me about the greatness of the varietal. Now, thanks in part to Zinfandel Advocates & Producers (ZAP), I and everyone else can celebrate the grape with its own day: National Zinfandel Day. Grown in all parts of the world, Zinfandel has a special place here in California and is considered a heritage wine of the region even though its lineage and history goes back to lands surrounding the Adriatic Sea. Croatia and Primitivo are said to be where Zinfandel came from. Even so, California Zinfandel is now planted in countries like Italy and made to taste like California wines. Most Zinfandel is produced in California, accounting for roughly 10% of all grapes grown in the Golden State. Once used as a blend to help give body to other thinner wines, Zinfandel, or Zin as it’s commonly called, often is made as a stand alone wine. With a relatively high sugar content, it can easily have a high alcohol level and when fortified, the wine is sometimes made into port. Zin has a wide balance, so it’s a delicious pairing for almost any occasion including the holidays. 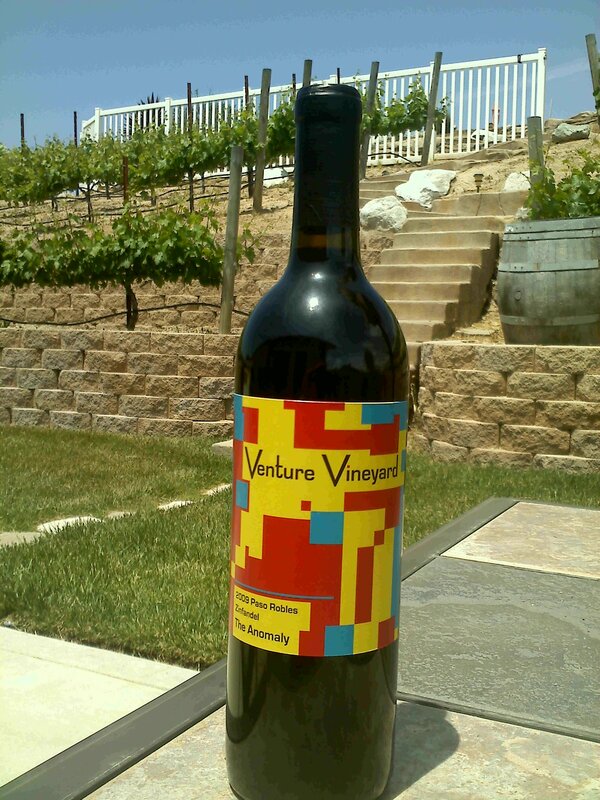 Zin has made a particular home in the Paso Robles AVA on the Central Coast of California. Thought of as the regions heritage grape, great Zins have been produced in Paso Robles due to it unique terroir and diurnal. This short clip (Paso Wine Man) shows you just what the area thinks of their wine. So, everyone stop what they’re doing and enjoy this day long celebration. Like many wine lovers around the world know, Zinfandel is a classic American varietal and whether you’re familiar with it or not, what a better reason to have than celebrate the day with a glass of Zin. This entry was posted in Wine and tagged California wine, National Zinfandel Day, Paso Robles, Zin, ZinDay on November 19, 2014 by PasoDr. There are thousands of idioms spoken and we here at Paso Wine Barrels use many of them. From ‘a dime a dozen’ to ‘you can’t take it with you’, there are thousands with meanings for each of them. However, since we use the term here – literally as well as figuratively – the unique phrase we’re talking about is: “Cash on the barrelhead”. In its simplest form, which you may know, the most straightforward meaning of ‘cash on the barrelhead’ is paying for something with cash at purchase. But what would be the fun with ending it there? Up until maybe the last century, products often were transported long distance using barrels, especially shipping waterways and overseas. Certainly liquids such as wine and beer are obvious but also honey, spices and many types of foods were also contained in wooden barrels. As the ancient cultures learned long ago, it’s easier to roll products from point to point rather than lifting boxes or any other odd shaped item. So the barrel became a simpler and standard way of transporting goods. Credit wasn’t widely used until banking became a way of paying for services or merchandise. 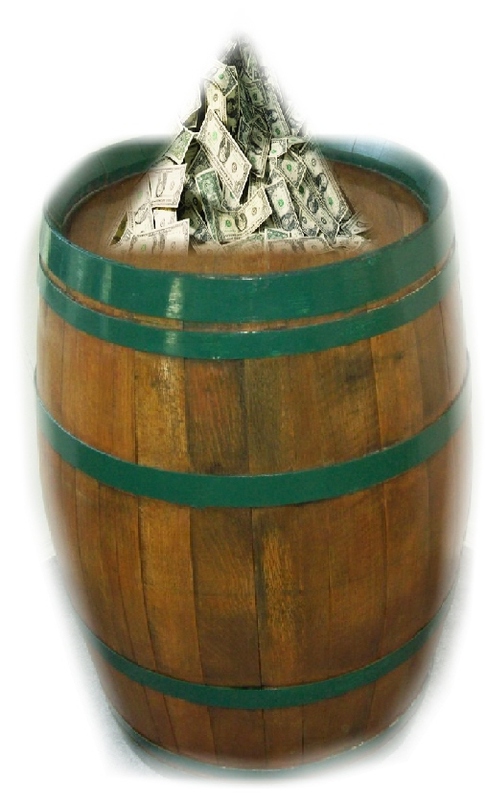 So when something was shipped into port and a barrel of product was for sale, unless there was credit, you paid for the goods right then and there with cash laid down on the ‘barrel head’. To maybe pinpoint the definition a little more, although history is murky here, the most common thought is that in the American West, barrels were commonly used as tables – when they were not able to contain products effectively. When services or merchandise were offered, the transaction would commonly be for cash only placed on the table, i.e. barrel or barrelhead. There’s a similar term that’s more international: ‘cash on the nail’. A nail, in long ago times, was a small table in front of an exchange outlet. Without going into another big explanation, to pay ones debt promptly or on the spot, they paid cash on the nail. There you go. A little bit of knowledge on a typical idiom that not everyone knows about … but now you do. 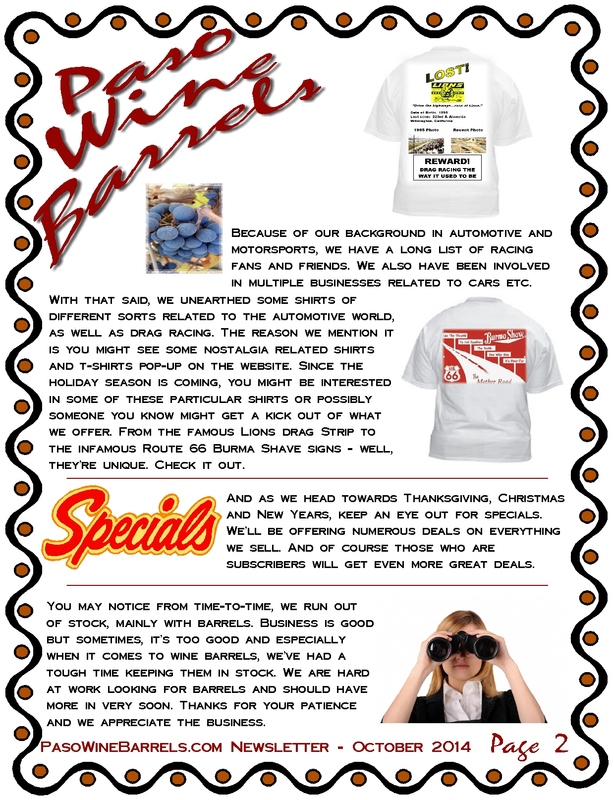 This entry was posted in Barrels +, History and tagged barrelhead, Cash On The Barrelhead, shipping barrels on November 5, 2014 by PasoDr. The New York based magazine Wine Enthusiast, has named the state of New York as its wine region of the year. New York beat out four other nominated regions: Champagne, France; Chianti, Italy; Red Mountain, Washington and Sonoma, California. The reasons sited for this tribute were the quality of wines, the tremendous growth of the industry along with a believed improved business climate. The states uniqueness and diversity of wines were also made note of and credited as to why the Empire State was given this award. Less than 30 years ago, there were but 37 wineries who called New York home. However, now there are nearly 400 throughout the state, with the Finger Lakes district alone representing about one-third of the total wineries. Though limited to a certain amount of years and business-type, New York is allowing tax credits and giving new companies that move to the state, tax incentives and reduced regulation, which have helped the wine industry grow. This past year, Paso Robles reigned as the world’s top wine region, recognized by the quality of wines, but also innovation and excitement created by a unique and booming industry on the Central Coast of California, drawing young talent from far and wide. New York’s Riesling ranks high among wine experts. New York ranks third nationally among wine producing states and not unlike Paso Robles, has made a comeback after an old history of wine production stalled. A panel of judges from around the world voted with Finger Lakes Riesling wines critiquing particularly well. The award will be presented as part of the Wine Star Awards gala at the New York Public Library in Manhattan next January. This entry was posted in Wine and tagged Finger Lakes, New York wine, Riesling, Wine Enthusiast, Wine Region of the Year, Wine Star Awards on November 4, 2014 by PasoDr.